This user guide for the CNAG cluster is intended to provide the minimum amount of information needed by a new user of this system. As such, it assumes that the user is familiar with many of the standard aspects of supercomputing such as the Unix operating system. Nodes and storage are connected by Infiniband (High Speed Interconnect) for computation (MPI) and storage access. The Operating System in the cluster is Red Hat 6.7. You must use Secure Shell (ssh) tools to login into or transfer files to the cluster. We do not accept incoming connections from protocols such as telnet, ftp, rlogin, rcp, or rsh commands. To get more information about the Secure Shell version supported and how to get ssh for your system (including Windows systems) see Appendices. These addresses are only accesible inside CRG’s network, comprising CNAG’s offices and CRG’s VPN connections. As can be seen, you will be prompted for your password before access is granted. If you are on a Windows system, you need to download and install a Secure Shell client to perform the connection to the machine (See Appendices for more information). Most of these applications are graphical and you will have to fill some information in some of the fields offered. In the field ‘Host name’ or ‘Remote Host name’ you will need to introduce the URL of the login node. After entering your username and password as requested by the Secure Shell client you should be logged in. The first time that you connect to the cluster Secure Shell exchanges some information to establish the communication. Then it requires that you accept of the RSA key of the remote host (this is just an unique identifier for the server). You must answer ‘yes’ to accept the key and connect. If you select ‘no’, the connection will be refused and terminated. If you cannot get access to the system after following this procedure, first consult Appendices for extended information about Secure Shell and, if the problem persists, please contact us (see Getting Help). Once inside the machine you will be presented with a UNIX shell prompt and you will normally be in your home directory ($HOME). If you are new to UNIX, you will have to learn the basics. You can jump from one login node to the other but it is not possible to jump to a computing node. Outgoing connections of any kind are only possible from the login nodes. On a Windows system, most of the Secure Shell clients come with a tool to make secure copies or secure ftp’s. There are several tools that accomplishes the requirements, please refer to the Appendices for the most common ones and examples of use. The only way to use graphical applications on the cluster is tunneling all the graphical traffic of the application you opened to your local machine through the Secure Shell connection you established to connect to the cluster. You will need to have an Xserver running on your local machine to be able to show the graphical information. Most of the UNIX flavors have an X server installed by default. In a Windows environment, you will probably need to download and install some type of X server emulator (see Appendices). The second step in order to be able to execute graphical applications is to enable in your Secure Shell connection the forwarding of the graphical information through the secure channel created. This is normally done adding the ‘-X’ flag to your normal ssh command used to connect to the cluster. 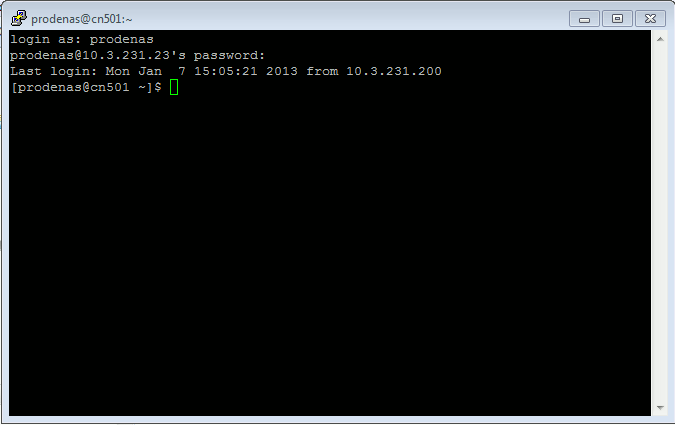 For Windows systems you will have to enable the ‘X11 forwarding’ in your SSH client. That option normally resides on the ‘Tunneling’ or ‘Connection’ menu of the client configuration window. (See Appendices for further details). IMPORTANT: It is your responsibility as a user of the CNAG cluster to backup all your critical data. We only guarantee a daily backup of user data under /home and of the qseq and fastq files from finished runs of the sequencers. Each user has several areas of disk space to store files and some of them may have size or time limits. Please read carefully this section to know about the usage policy of each of these filesystems. NFS: NFS is a distributed file system protocol which allows the user access to /home and /apps from all nodes. Lustre: Lustre is a parallel distributed file system which can be accessed from all the nodes. Local hard drive: Every node has an internal hard drive accessible only from the node itself. /home and /apps are mounted in all nodes through NFS from one of the servers. /apps contains all the software installed in the cluster for all users by support team. If you need an application/library or different version which can not be found there you can ask us for its installation (see Getting Help). You should indicate the name and version of the desired application/library, as well as the web page where it can be downloaded (more information about the available software at Software Environment). /home contains the personal directory of the users and is the directory where you start when logging into the cluster. Every user has its own home directory to store code, small files or applications which only they will use. As this is NOT a parallel file system (only 1 server) it is not recommended to use it as the working directory or output directory of production runs. Using it that way is likely to hurt your jobs’ performance and may harm other user’s experience while using the cluster. You should use your personal space in Lustre for anything other than small tests. An incremental backup of these directories is performed daily. Every node has a local hard drive that can be used as a local scratch space to store temporary files during the execution of a job. This space is mounted over /scratch_tmp directory. The amount of space within the /scratch_tmp filesystem is about 160G in the compute nodes and 375G in the HiMem. All data stored in these local hard drives is only accessible from the node itself. In order to use the local hard drive from your jobs or commands, you should refer to it through the environment variable $TMPDIR. /project: This space is intended to store data that needs to be shared between the users of the same group or project. /scratch: This space is intended to store the temporary files of your jobs during its execution. You should foresee the quantity of space that your jobs will generate and must make certain you have enough quota available to meet your jobs’ needs. You can reduce your quota by archiving and compressing your data and by deleting old, intermediate or no longer useful data. It is a good practice to keep the filesystems as clean as possible. We recommend you remove any temporary files created during a jobs’ execution at the end of the job or, if that’s not possible, to store temporary data on specific paths so it’s easy to find and delete afterwards. If the temporary data does not need to be available after the jobs’ end you may consider using the nodes’ local hard drive to store it (it doesn’t count towards your quota and will be deleted automatically after the job ends). If you try to write data into Lustre when you are near your quota the system slows down for all users that access the filesystem. Use the lquota command to monitor your quota usage before submitting the executions to avoid this situation. If a directory holds a great number of files (more than 1024) its access will be slowed down. This can severely impact performance in a sudden way. It is preferrable to store as few files as possible or to distribute them among several subdirectories before assuming the performance penalty. Another performance problem is caused by reading and writing many files at the same time in the same directory, e.g., when several similar jobs start executing at the same time or temporary intermediate files are created and destroyed in quick succession (sort command). In that case it’s preferred that you create a per-job directory to store the output files, avoiding also the huge number of files in a directory at the same time, or to use the nodes’ local hard drive. The usual filesystem utilities don’t interact well on Lustre filesystems and may cause some performance problems. Lustre provides its own version of some of those tools to efficiently access the filesystem without hurting performance. Whenever a wide filesystem operation needs to be carried out you should use these commands instead of their common counterparts. Check the commands’ documentation for usage and information. SLURM is the utility used at CNAG Cluster for batch processing support, so all jobs must be run through it. This section provides information for getting started with job execution at CNAG Cluster. main: GenC nodes batch execution. Default partition. genB: GenB nodes batch execution. gpu: GPUA nodes batch execution. interactive: GenB nodes available for executing interactive applications. smp: SMP node batch execution. If nothing is specified, all jobs go to the main partition where they have the latest hardware available. Interactive access is guaranteed through mnsh command and provides a terminal in the interactive node for interactive executions (shells, testing programs, large compilations, etc.). Classes specify the Quality of Service (QOS) that a job should receive. Classes have a limit on the time of the jobs that can be submitted to the class and an associated priority. Highest priority classes have shorter runtimes than lower priority classes. The user’s default class is normal and allows jobs to run up to 1 day. In addition, there’s a highprio class that grants a greater priority for executions that need to jump ahead of the normal queue. This queue is available to all users but it’s usage is only allowed with justification for a few jobs at a time and incorrect use of this class will be prosecuted. The lowprio class allows up to 7 days of execution, but it has the lowest priority on the cluster to avoid it from blocking normal executions. A job is the execution unit for the SLURM job scheduler. We have created wrappers to make easier the adaptation to the batch system. A job is defined by a text file containing a set of directives describing the job, and the commands to execute. submits a job script to the queue system (see below for job script directives). shows all the jobs submitted. remove the job from the queue system, canceling the execution of the processes, if they were already running. Hold the job and prevent it from starting. mnhold accepts a list of jobs separated by blanks. Release the job that was held. It allocates a shell with a 8 hour limit for testing and debug purposes. It allocates an interactive shell in the same console (without X forwarding). Show basic information of your running or completed jobs after the 00:00 hours of the same day. Option “-S ” allows to change this to the specified date. Also, a lot more of information can be obtained with “–long” option. Sacct is a very powerful command with a lot of different options. Please refer to the man page for further information. (man sacct). With the class you can specify the priority of your job as is explained at Section 5.1. The partition where the job is to be submitted. Let this field empty unless you need to use special partitions such as “himem” or “development”. The name of the file to collect the stderr output of the job. The number of cpus assigned to the job will be the total_tasks number * cpus_per_task number. The amount of memory per cpu requested in MB. If it is not set, it will take 5,8GB per cpu requested. With this directive, slurm will requeue the job if it died due to a node fail. Slurm guarantees that when the job starts there are at least n MB free in the local scratch of the allocated nodes. # @ initialdir = . All software and numerical libraries available at CNAG cluster can be found at /apps. If you need something that is not available there contact us to get it installed (see Getting Help). BSC provides excellent consulting assistance for the cluster users. User support consultants are available during normal business hours, Monday to Friday, 09 a.m. to 18 p.m. (CEST time). If you need assistance, please send an email stating the nature of the issue, the date and time the issue occurred, and any other relevant information such as output files or error messages. Please contact BSC if you have any questions or comments regarding policies or procedures. We have already installed a ssh server in our machines. You must have installed an ssh client in your local machine. SSH is available without charge for almost all versions of UNIX (including Linux and MacOS X). For UNIX and derivatives, we recommend using the OpenSSH client, downloadable from http://www.openssh.org, and for Windows users we recommend using Putty, a free SSH client that can be downloaded from http://www.putty.nl. Otherwise, any client compatible with SSH version 2 can be used. 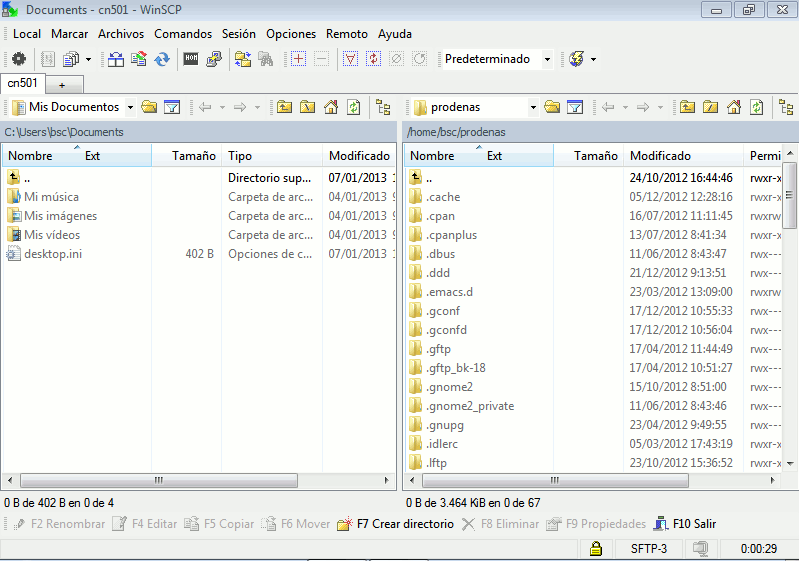 To transfer files to or from the cluster you need a secure ftp (sftp) o secure copy (scp) client. There are several different clients, but as previously mentioned, we recommend using of Putty clients for transferring files: psftp and pscp. You can find it at the same web page as Putty ( http://www.putty.nl).